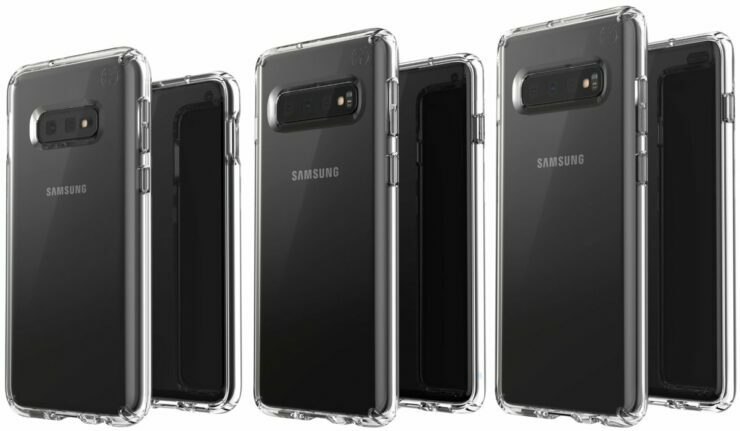 It was only a matter of time that the official renders of the Galaxy S10E, the Galaxy S10, and Galaxy S10 Plus would emerge. After all, Samsung confirmed that it would be unveiling its lineup on February 20, which will also include its foldable smartphone, and just like last year, more leaks will follow. With the launch date now out of the way, a popular tipster has shared the official press renders of the Galaxy S10 family, revealing their design and the number of cameras these devices have. This is going to be one exciting unveiling, so let’s dive in this leak immediately. Thanks to Evan Blass, we’ve now come one step closer to know how the Galaxy S10 lineup will look. 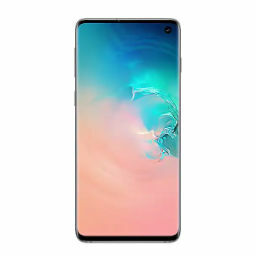 All models, which include the Galaxy S10E, Galaxy S10, and the Galaxy S10 Plus will feature a punch-hole camera, thereby increasing the overall screen-to-body ratio. Since all models will be employed with a Super AMOLED screen, Samsung could use a smaller camera cutout. However, as the number of cameras go, the Galaxy S10E will feature the least; a dual-camera stands at the back, while a single selfie shooter present on the top-right corner. This model will also feature the smallest battery capacity out of the three; a 3100mAh unit was earlier reported to be a part of the variant. It will also be the smallest, featuring a 5.8-inch display size. As for the Galaxy S10, it will have a 6.1-inch screen, with a total of four cameras. Three cameras have been horizontally positioned at the rear, while a single selfie camera is mounted at the front. As for the top-end version, it will tout a camera galore; five cameras in total with three at the back and two at the front. This variant is also expected to sport a massive 6.44-inch display and be outfitted with a 4000mAh battery. If you want the best possible battery endurance and if you want to futureproof yourself to an extent, we recommend purchasing the 5G-ready version of the Galaxy S10 Plus, but don’t be surprised if this costs you a small fortune. This version will reportedly be launched in Korea and the U.S. first, and it’s rumored to feature a generous 5000mAh battery. There’s no word on how these cameras will work, but as we progress more into the year, we’ll surely get to know more about the optics. The strange thing about this leak is that the Galaxy S10E has not been shown with a rear-mounted fingerprint reader. It could be that the renders left out this little detail, or perhaps the fingerprint reader is integrated in the power button. According to a previous leak, only the Galaxy S10 and Galaxy S10 Plus will sport an in-screen fingerprint reader, while the Galaxy S10E will have the regular scanner. Well, that’s it for now, and with just little over a month remaining for the Galaxy S10 series to launch, we’ll continue with our coverage round the clock, so stay tuned.